Philips is promoting the PerfectCare iron in a global cross-media advertising campaign centred around a 30 second television commercial. The PerfectCare is the first iron able to press fabrics of any fibre content at one temperature, and even when left on fabrics for up to five minutes, there is no risk of burning or marking of garments. The commercial at the heart of the launch campaign takes viewers on a journey on a road through a landscape of clothes. The PerfectCare campaign was developed at DDB UK, London, by creative directors Neil Dawson and Scott Walker, copywriter Ric Hooley, art director Vix Jagger, agency producers Rachel Amess and Vicky Cullen, global business director Dudley Desborough, account director Tom Kingham, account manager Lauren Tomlinson and account executive Naphtali Torrance. 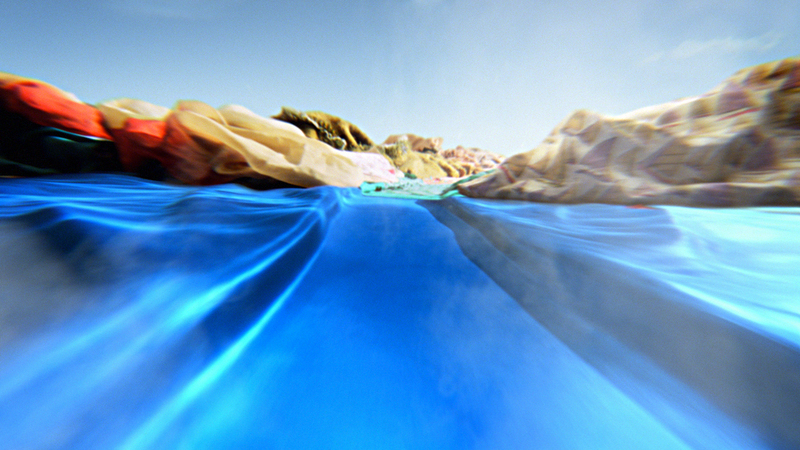 The ad was produced at Brand New School, London by executive creative director and director Jonathan Notaro, director of photography Tim Green, art director Olly Williams, VFX supervisor Des Anwar, production manager Michaela Miesen, executive producers Kayt Hall and Geraldine McCarthy, line producer Georgina Poushkine, editor Henrik Sikstrom, Flame artist Blake Huber, 3D artist Sam Bradyl compositors Attilla and James Ballard.